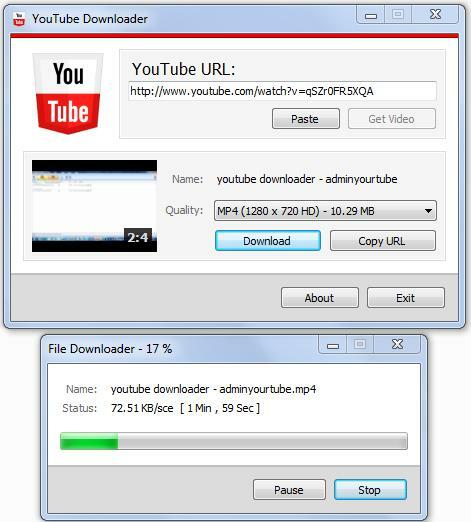 This article shows how to download YouTube videos using C# code only. The code is very simple to understand and anyone can easily integrate it to in their solution or project. I didn’t use any third party library to do this task. All you need is to take two .cs files and integrate them to your project. This is the entity that describes the video. Using this code you can select the video quality depending in your internet connection speed to start download. Many people have slow internet connections and they can not watch videos from YouTube, so I made this code to help those people to download YouTube videos to their PC’s so they can watch the videos offline. Thanks to Motaz Alnuweiri, the Downloader works again. Added self download videos. You can create by yourself with that guide.